Last week game designs were due and with the help of my two parent volunteers, we were able to go through and review each design. I am very lucky to have great volunteers. We divided the task between us. My high school student volunteer manned the lab while we separately met with each student or pair to go over their design. We had time to meet with everyone and they all had time to start their projects before the end of Code Club. Now I’m looking back through the designs once again. Dodge all the obstacles. Get at least 10 points per level and have fun!! Some chose partners, some were on their own. 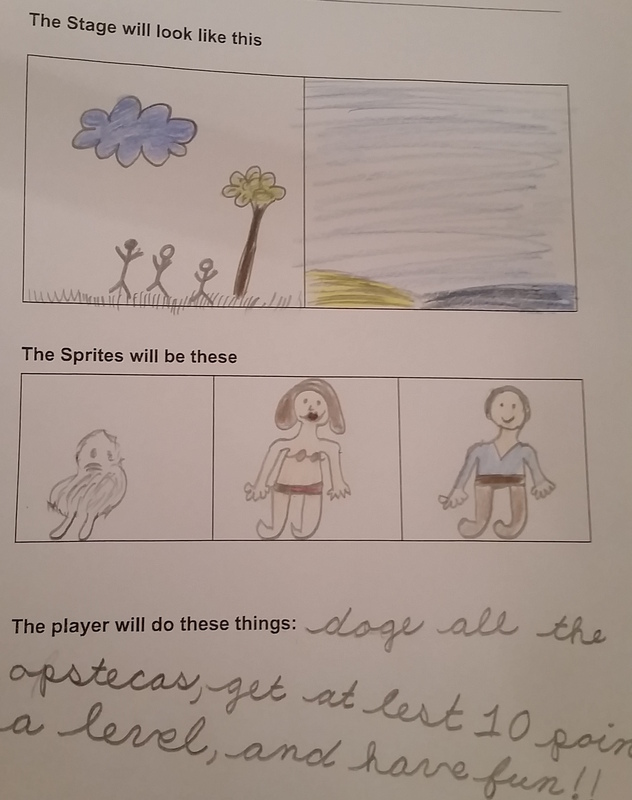 Most had filled out the game design document. Some were very detailed, others just had rough ideas. It took a while to think about what the game should do… but after awhile one game popped into my head. In this student’s game you are a hedgehog that moves around trying to catch bugs to eat. 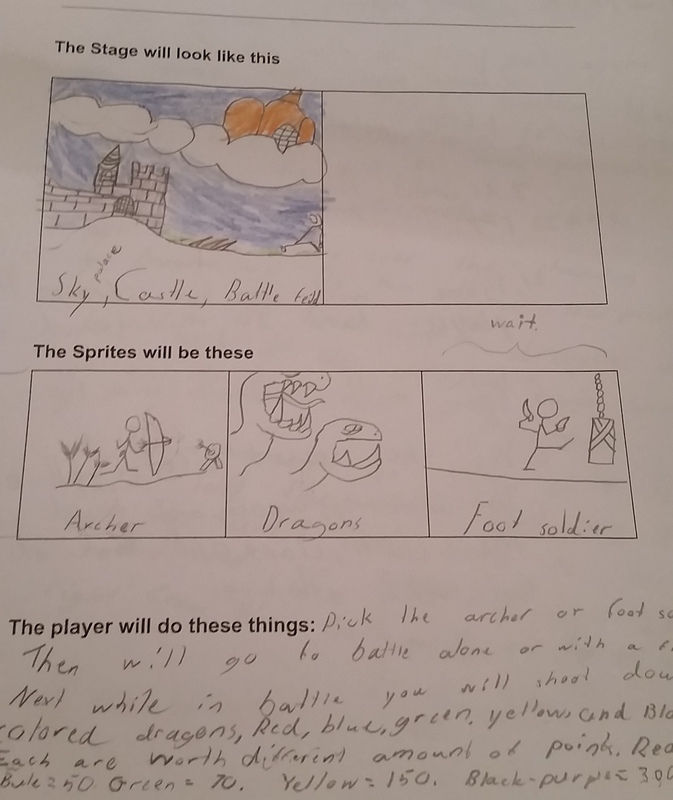 Here’s how this 4th grade designer describes the game flow. If you eat a bug that isn’t orange, you will get a point. If you eat a bug that is orange, the bugs get a point and you will lose a point. To win you have to score more points than the bugs. I think that is a totally do-able project and I look forward to seeing it progress. Some had trouble using the drawing editor on Scratch. I don’t know the best solution. We could try scanning a drawing in. I know you can take and add photos and import other artwork. They might have to learn to live with what they can do. The game design below looks complicated. I’m a bit concerned because I’m not sure I could code this in Scratch. We’ll see how well they manage. I foresee them compromising some of their goals to get something working. Looks like a lot of creative work and debugging will be taking place at Code Club this week! Awesome way to spend Hour of Code week.